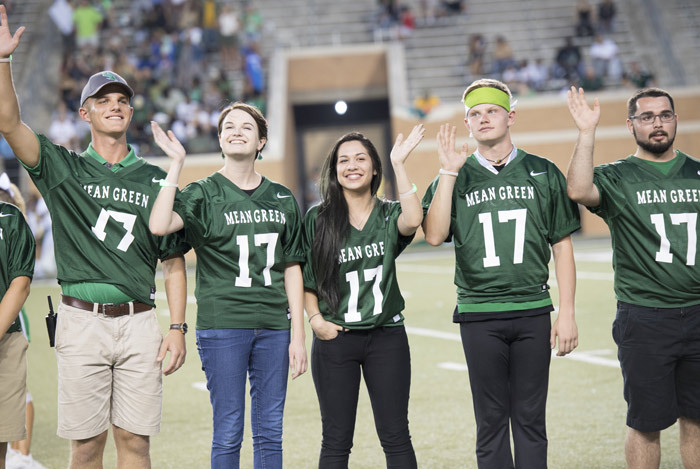 At the University of North Texas, we recognize the tremendous accomplishments of National Merit Finalists with Texas-sized scholarship packages covering your entire cost of attendance. 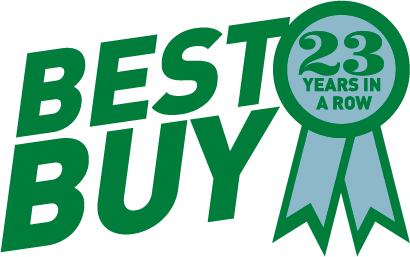 We take care of everything: tuition and fees, housing, a seven-day meal plan, books and an annual stipend. 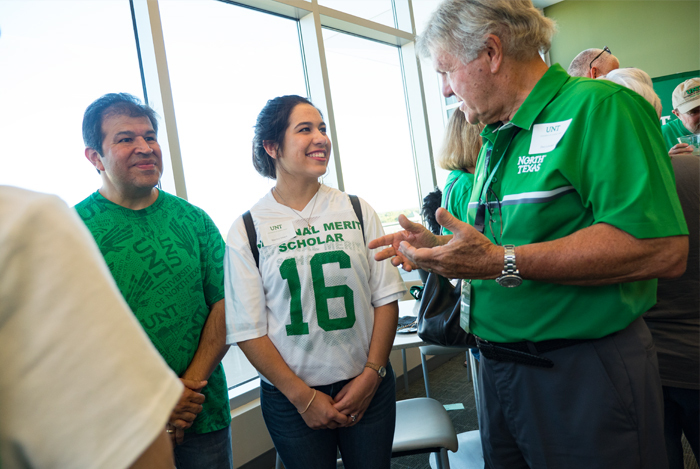 In addition to the Meritorious Scholarship for National Merit Finalists, we offer many scholarships to help the best and brightest find their place at UNT. 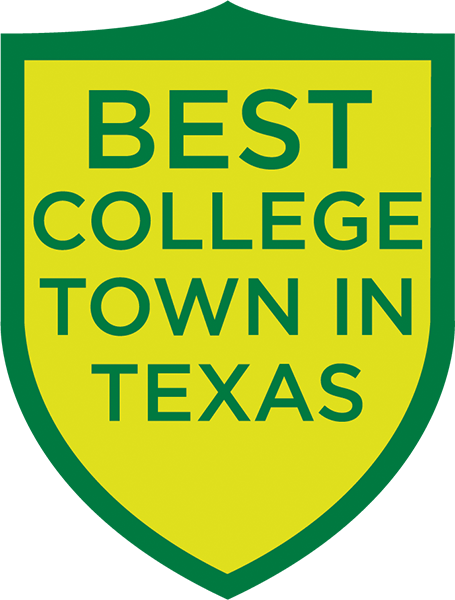 They include the UNT Excellence, Honors College, Emerald Eagle* and Terry Foundation* scholarships. You’re at the top of your game. We’re at the top of ours. 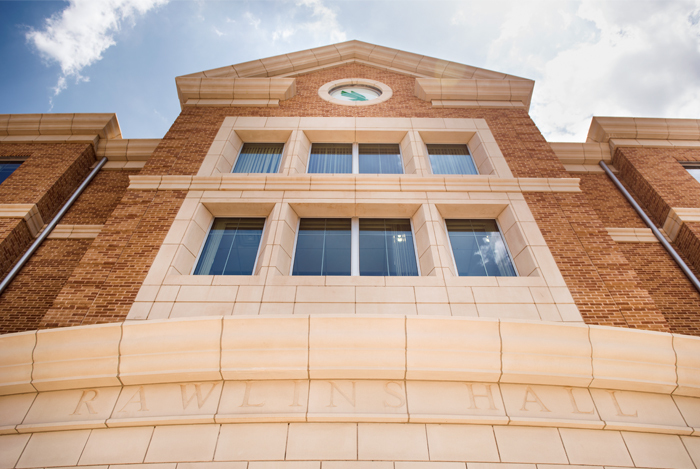 UNT’s programs are internationally recognized and many are in the nation’s Top 100, with research and scholarship spanning all disciplines. World-class faculty are making breakthroughs every day, and you can participate – even as a freshman. We’re committed to your success in and out of the classroom — and bring a personal touch to help you find your place and excel. 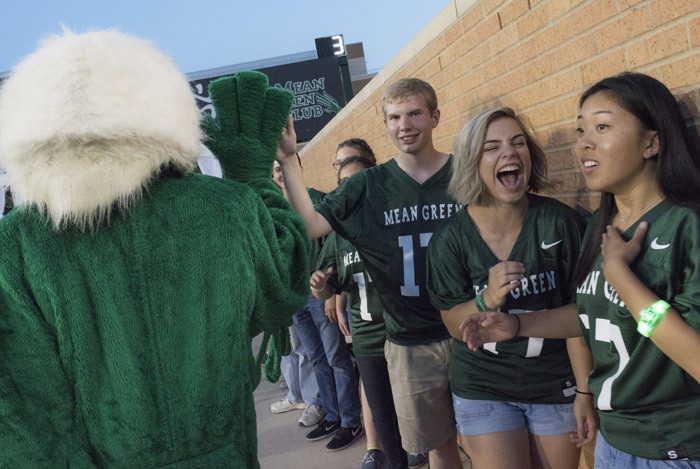 Whether it’s through lunches with President Neal Smatresk, special recognition on the field during a Mean Green football game or networking with our alumni at events, we’ll make sure you stay connected to UNT, our community and to each other. Skip the ordinary and jump right in. At UNT, we’re anything but average. 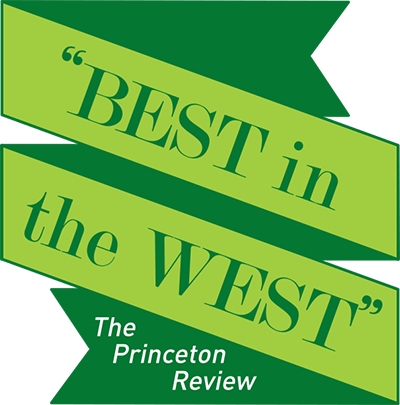 We’re the friendliest, most creative university in Texas and we’re known for academic excellence, innovation and diversity. Since 1890, our students have been focused on finding new solutions and paving new paths. Whether you're helping to pioneer the next generation of sustainable materials in our Advanced Materials and Manufacturing Processes Institute, or blending music, art and technology in the Center for Experimental Music and Intermedia at UNT, you’ll find your place among our community of solution-seekers and barrier-breakers. Unique opportunities for students like you. 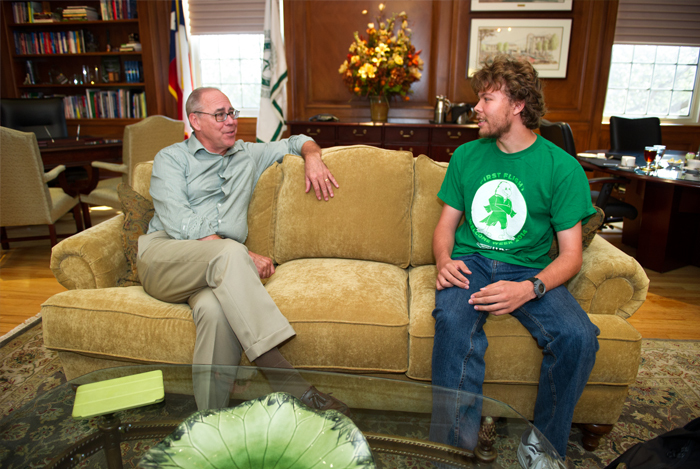 Access to research opportunities while pursuing your bachelor’s degree, personalized attention in smaller Honors classes, a brand new residence hall for Honors College students and a host of unique Honors-only privileges make UNT’s Honors College the right choice for talented, driven students who want more out of their university experience. 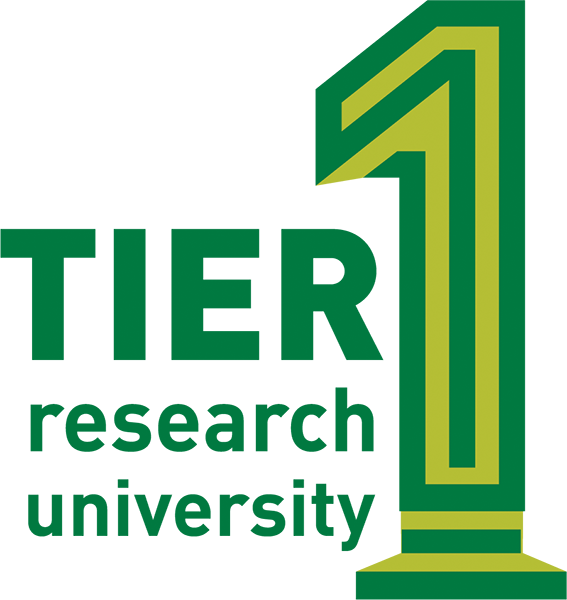 With 105 bachelor's, 88 master's and 37 doctoral degrees, it's no wonder UNT is the leading university in the North Texas region. 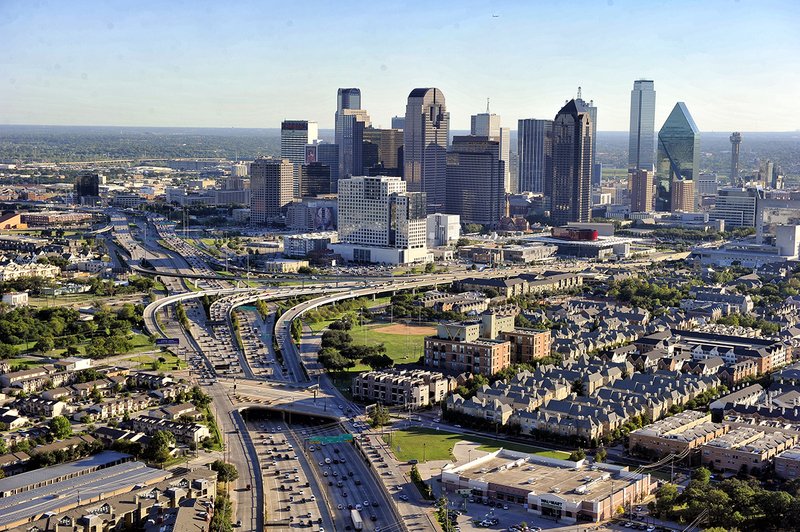 We're just 40 miles away from Dallas-Fort Worth, home to the fourth highest concentration of Fortune 500 companies in the U.S., so you’ll be in the perfect place to get ahead and start your career. 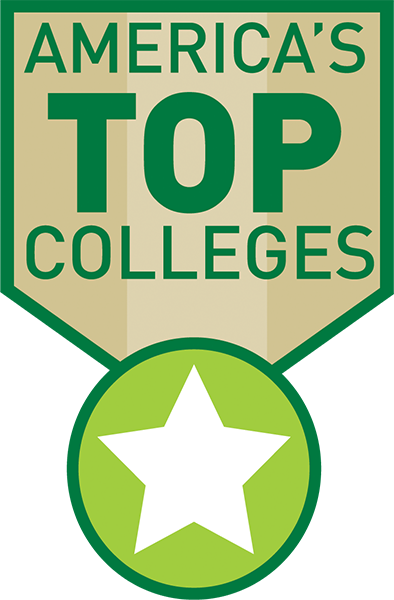 For more information about the exceptional opportunities UNT offers students like you, contact Tiffany Lipscomb or call 940-369-8560.